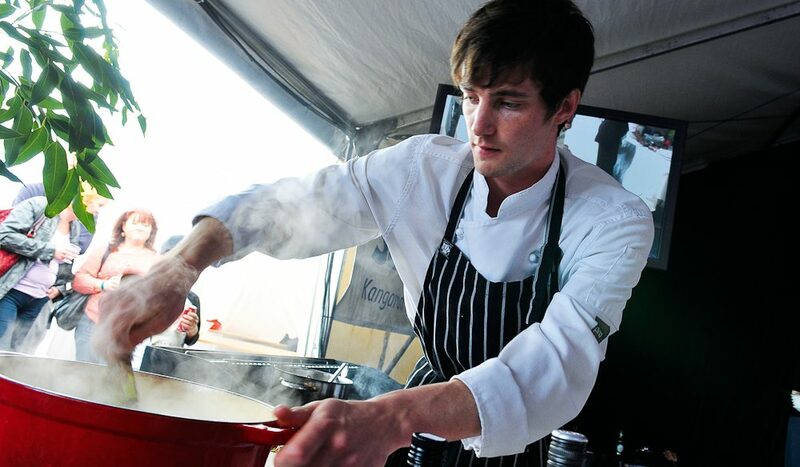 Taste testing at Kangaroo Island's Feastival is mandatory. Kangaroo Island has been described as ‘Aussie bush meets the Mediterranean’ and, with its similarly crystal waters, excellent food culture and laidback lifestyle, we can understand why. Especially when the island’s annual food celebration, FEASTival rolls around. Here are KI’s gourmet commandments. A sniff of this cheese, a taste of that bread… Like those of any town square, KI’s farmers markets are an open-air affair, with a list of artisan producers and tasting stations that’s longer than an Italian lunch-break. Get amongst it all at ‘Big Day Out’, the festival’s largest gathering. 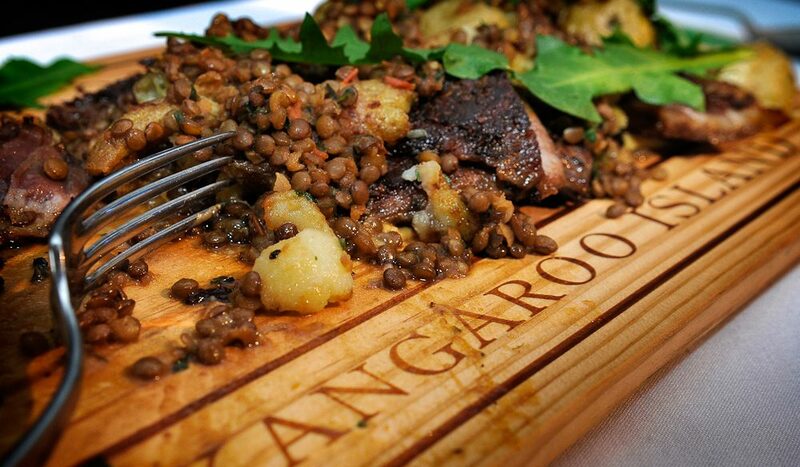 What better way to experience the real flavour of ’Roo Island, than with a languid feast at the table of a local? This year, the fest is offering opportunities to swap stories and make friends with your fellow travellers at one of these unique dinners – an experience they’re calling, rather sweetly, ‘Table Surfing’. Well, until siesta time, anyway. Margaret Fulton is hosting a lunchtime Garden Party on a lazy Sunday, where you can enjoy a wonderfully slow lunch, sample a glass or three of local vino, and play a spot of croquet on the lawns of a pretty working farm. You’ll go at least knee deep for the oysters, Kangaroo Island. And you can eat them straight from the source. 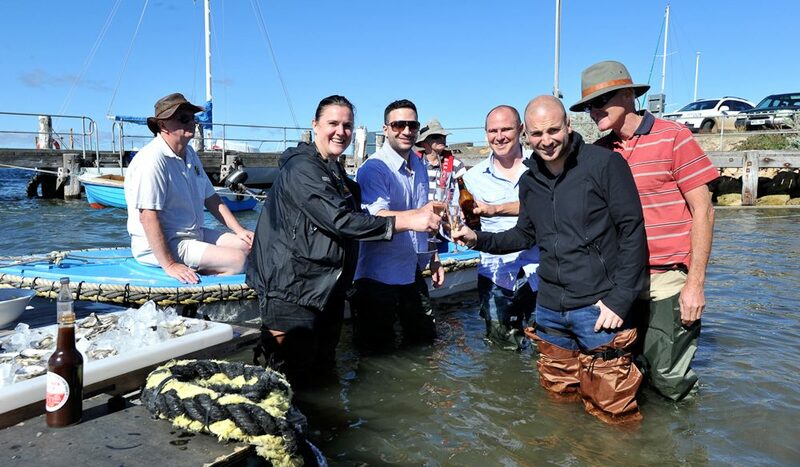 At the ‘Island Pure Sheep Dairy Floating Lunch’ you can don a pair of waders and sample wares plucked straight from the waters you’re standing in, before returning to a tasting menu of locally produced delights back on dry land. Literally. Join the festival’s night-time movie showing, and you’ll be served dishes that match the landscapes and sounds on screen (now there’s an Oscar-worthy supporting role…) beneath a star-studded sky. Actually, there’s nothing Mediterranean about this, but we couldn’t resist mentioning it. The abundant koala population alone makes for a worthwhile visit to KI – spot them as you flit from lunch to lunch, and be happily reminded that you’re definitely, truly, one hundred per cent nowhere else but Australia. Though there are over 30 events to choose from during the five days of FEASTival, make sure you set aside at least one early morning to watch the sun rise at one of the island’s many beaches. FEASTival is on 24–28 April.